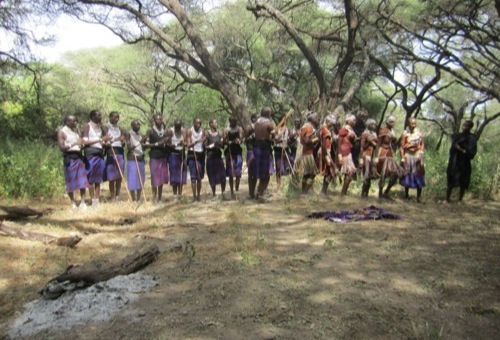 Experience Tanzania through an unforgettable trek to the ‘rooftop’ of Africa. Mt. 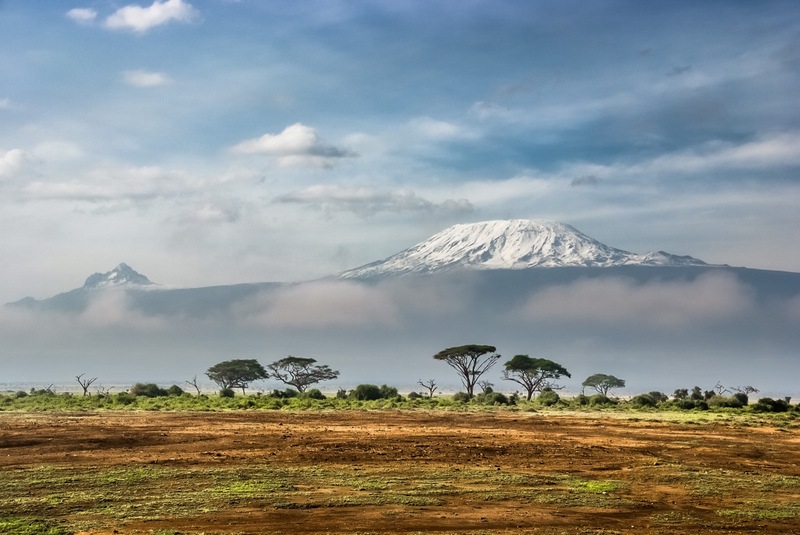 Kilimanjaro’s snow-capped peak towers over the Great Rift Valley. 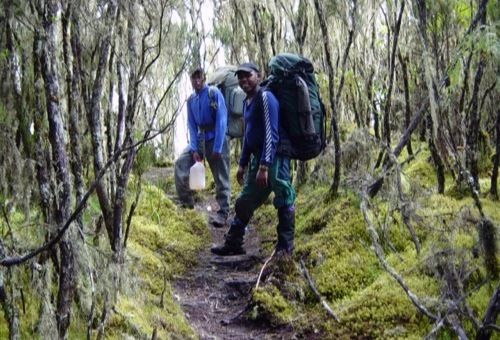 Rainforest, tarns, alpine meadows, exotic high-altitude vegetation, sunbirds, rock hyrax and soaring eagles make a trek on these peaks one of the most unique mountaineering experiences in the world. To increase enjoyment, expert guides lead your group up routes allowing adequate time for acclimatizing. Day 1: Welcome to Tanzania! Wilderness Inquiry staff will pick you up from the Kilimanjaro International Airport (JRO) and help you get settled at your hotel in Arusha for a night of rest. You will meet your mountain guide in the evening for a trip briefing. 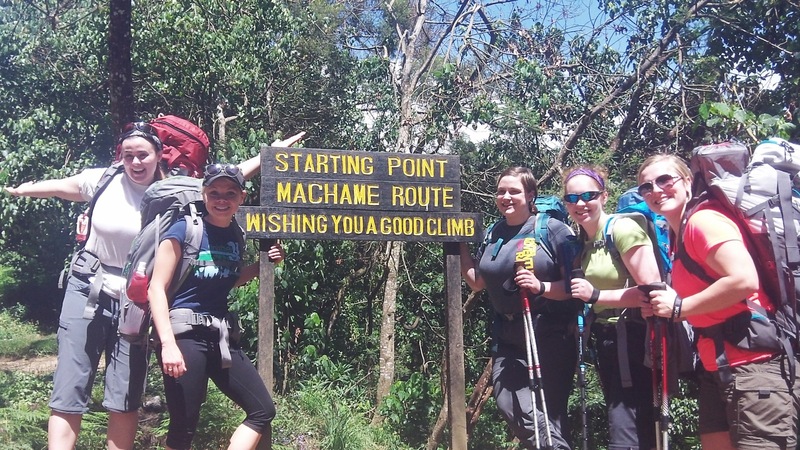 Day 2: Trek 4-5 hours from Machame gate to Machame Camp. After breakfast, transfer to Machame gate. 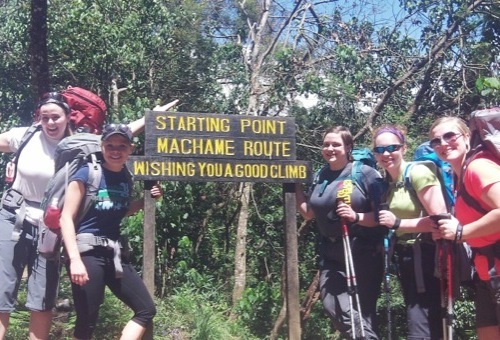 Start your trek through the rain forest and up to Machame Hut. Have your lunch and proceed to Machame Camp (3000m) (4-5 hrs) walk. Dinner and overnight. Day 3: Traverse rocky ridges as you make the trek to Shira Hut. Following breakfast, hike across rocky ridges to Shira Hut (3800m) (5-7hrs). Have a picnic lunch on the way. Dinner and overnight at Shira Hut campsite. Day 4: Begin the trek to Barranco Hut via the Karanga Valley. 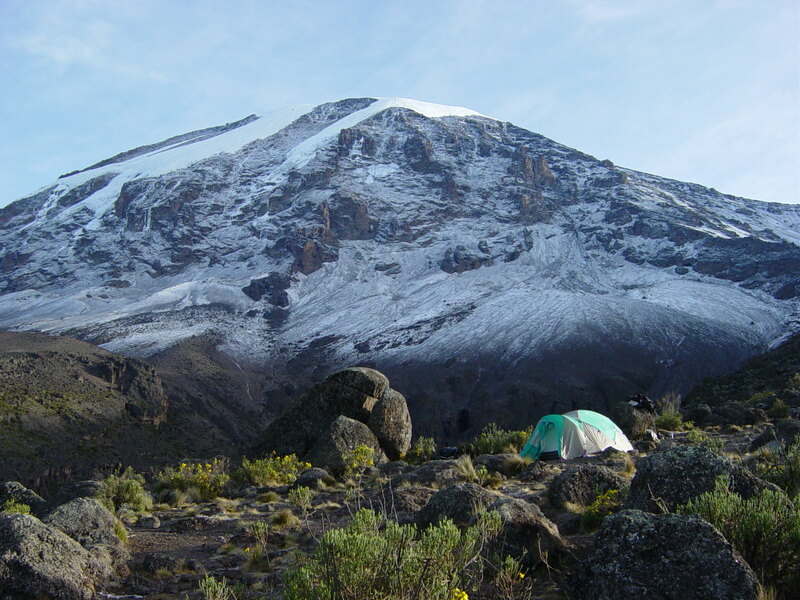 Enjoy breakfast and then start trekking to Barranco Hut via the Karanga Valley (4000m) (6-7 hrs). Dinner and overnight at Karanga campsite. Day 5: Spend the day acclimatizing an enjoying hikes in the Karanga Valley. 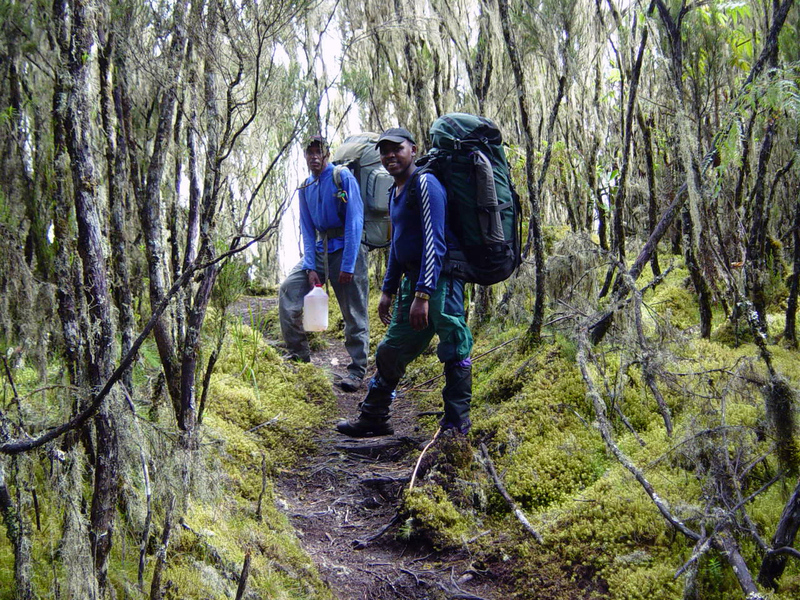 Hike without ascending for a full day in the Karanga Valley. This option is highly recommended to help you acclimatize and feel better once you do reach higher altitudes. Day 6: Make the 5-6 hour trek to Barafu Hut. Ascend to Barafu Hut (4800m) (5-6 hrs). Dinner and (short) overnight. 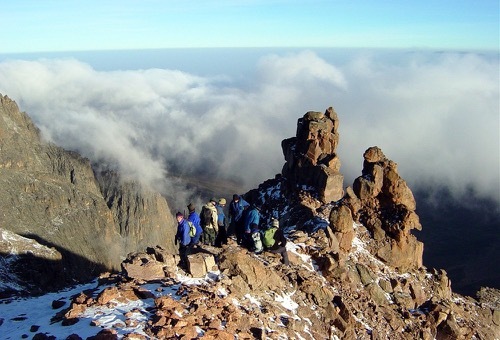 Day 7: Begin the hike to Stellar Point, trek along the crater rim as you reach Uhuru Peak, the rooftop of Africa! Awake around midnight and, after a light breakfast, begin the hike to the Stellar Point (5865m). Upon Stellar Point you can peer into the mighty Kibo Crater. From there it is only 45 minutes farther along the crater rim to Uhuru Peak (5895m), the rooftop of Africa! After celebrating at the summit you will descend slowly all the way to Mweka Campsite. NOTE: Approximately 70% of the people who do this trip actually summit. The decision to summit is solely the responsibility of our guides. You will not summit if our guide decides it would be unsafe to do so. Day 8: Spot wild Colobus monkeys as you descend to Mweka Gate. After breakfast, trek all the way down to the Mweka Gate. Keep your eyes peeled for Colobus monkeys in rainforest along the way. Transfer back to Kibo Palace for a hot shower and a celebratory meal. 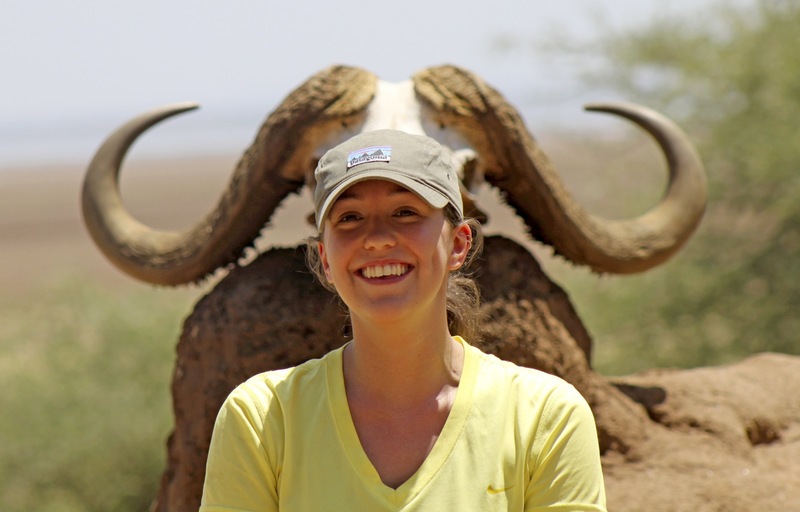 Day 9: Say farewell to your trip mates or opt for a safari extension. Shop for some gifts to bring back and prepare for the journey home. Most people fly out on the late evening flight arriving home the next day. TERRAIN/ROUTE CHOICES: Mt. 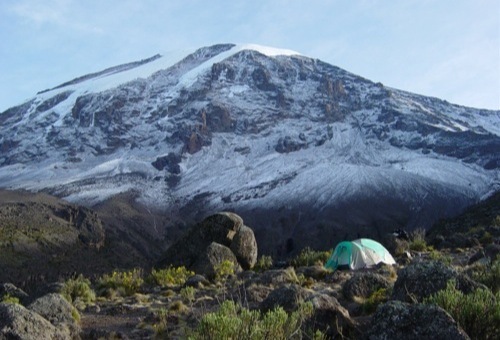 Kilimanjaro routes involve hiking 3-8 hours a day over rough terrain. Porters and/or pack animals will be used to help carry equipment and food. Altitude gains will be optimized for best acclimatization. 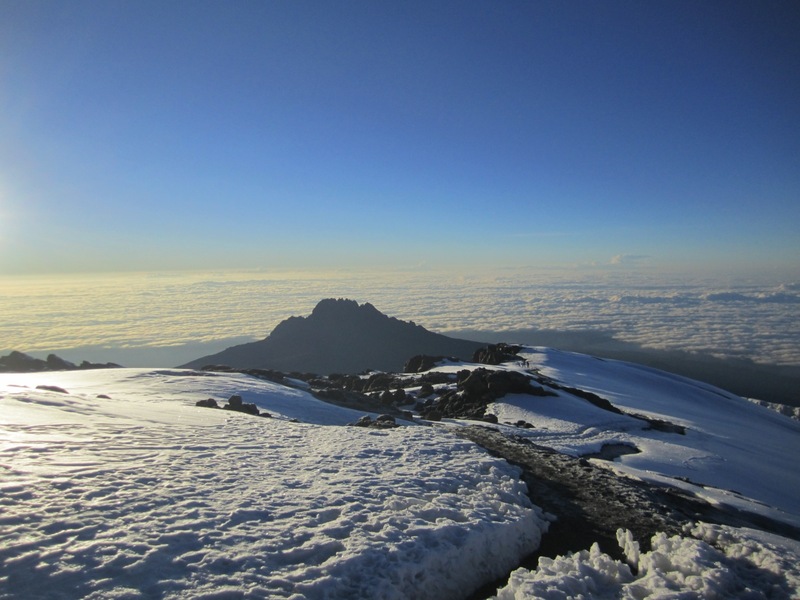 No technical climbing is necessary to reach Uhuru Peak, Kilimanjaro’s 19,340 ft summit. It is necessary to wake up very early (around 12 am) on the morning of the summit climb in order to reach it around sunrise. The early timing is critical because clouds typically engulf the summit from mid-morning until dusk, making for poor views and more difficult climbing conditions. The summit attempt can take 8-12 hours round trip. Approximately 70% of the people who do this trip actually summit. The decision to summit is solely the responsibility of our guides. You will not summit if our guide decides it would be unsafe to do so. GROUND TRANSPORTATION: We use safe, insured passenger vehicles driven by professional drivers to transfer to and from the mountain. Land outside major cities is largely undeveloped and thus, we’ll travel on some bumpy roads. WEATHER: Mt. 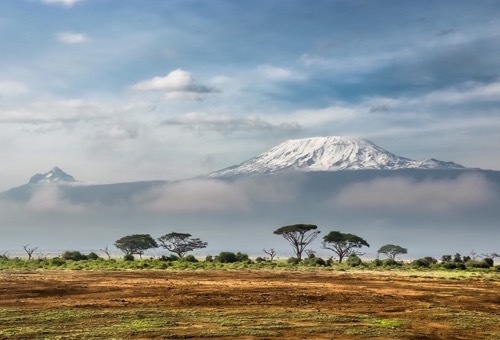 Kilimanjaro’s climate is similar to other mountain ranges across the globe. Although unpredictable, trends exhibit warm weather during the day (55-75ºF) with clear skies in the morning and clouds building up by afternoon. Rain or snow is not uncommon, especially at higher altitudes. Temperatures can fall to 10ºF at night, at the higher elevations. EQUIPMENT AND CLOTHING: All you need to provide is personal gear, such as clothing, sleeping bag, and boots, however even these items can be rented from your guides if you let us know in advance. A detailed equipment list will be sent to you upon confirmation of your participation. LEVEL OF DIFFICULTY: No previous experience is necessary to climb Mt. 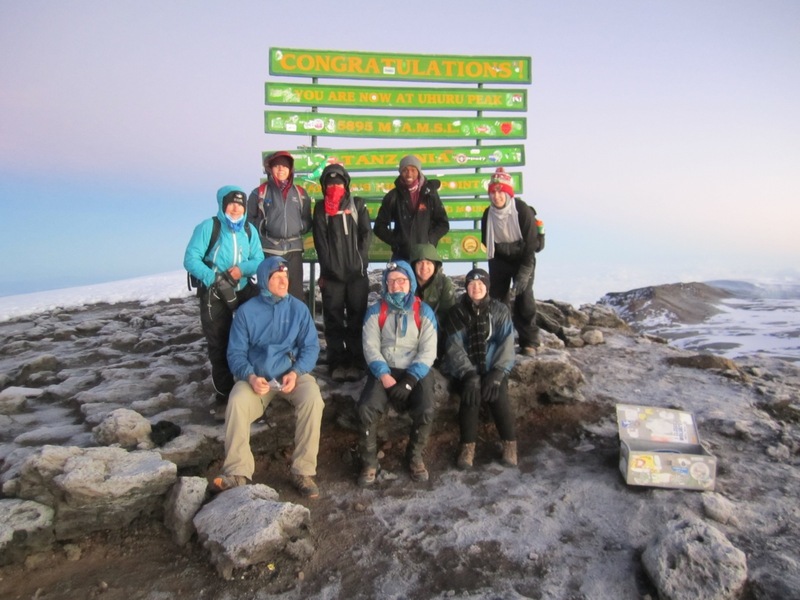 Kilimanjaro, however an adequate level of physical fitness is required to participate, and you are encouraged to be physically active as you prepare for your trip. ACCOMMODATIONS: Before and after your trek you will stay in one of our preferred lodges or hotels in Arusha and/or the surrounding area. On the mountain you will camp in tents or stay in one of the very basic huts found on the mountain. MEALS: Meals are prepared for you. 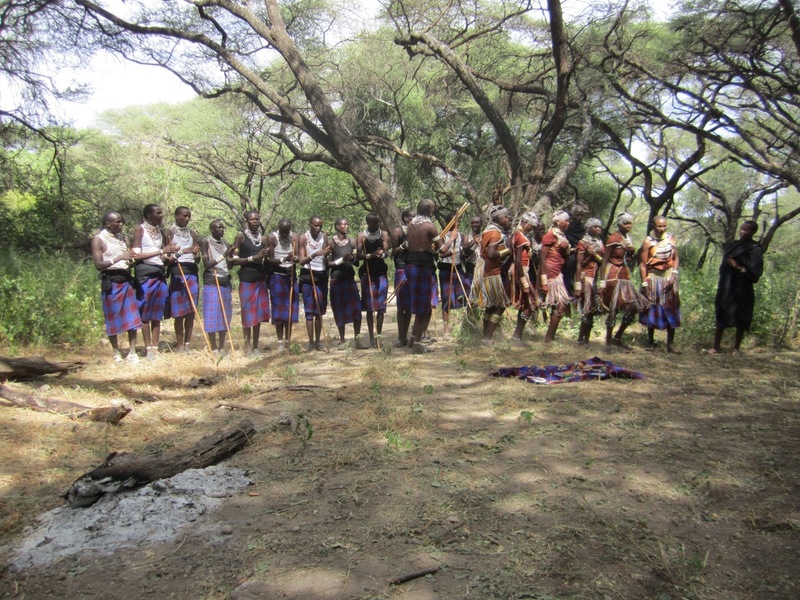 You’ll enjoy a mix of Tanzanian cuisine and typical hiking food like pasta and rice dishes. We will use water from abundant streams–it is very fresh but typically we treat it just to be safe. The purchase of alcoholic beverages is not included in the trip fees. This trip officially begins in Arusha, Tanzania. The nearest airport is Kilimanjaro International airport (JRO) and WI will meet you there. There are daily flights from various European cities, South Africa, and sometimes New York. The most popular flights arrive in the evening. We plan to meet outside baggage claim and leave once everyone has made it through customs. This is usually around 9pm but rest assured we won't leave without you even if you have a later arrival. Custom pickups outside this meeting time can also be arranged for a small fee. To make your travel arrangements for this trip we recommend that you consult with our travel agency, Travel One, at (800) 247-1311. They are very familiar with our trips and can help you make the best flight connections at the best prices. Detailed meeting place instructions will be sent to you when you are confirmed for the trip. How difficult is this climb? 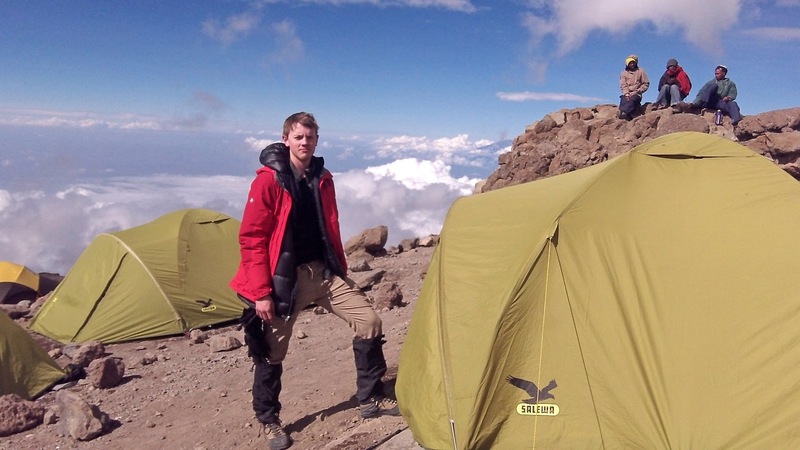 Climbing Kilimanjaro can is physically challenging for anyone. We do not recommend it for sedentary people or casual hikers. If you are a runner and in good shape you will do fine.